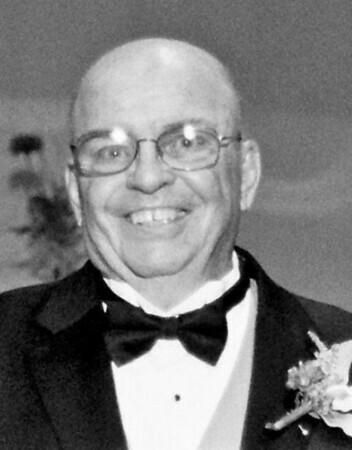 Genard Edwin Dolan, “Jerry,” 83, of Bristol, passed away on Feb. 4, 2019. He was born in New Britain, on Dec. 13, 1935, the son of Harold Dolan Sr. and Ema Jean Dolan. He served in the U.S. Navy from 1953 to 1956. He graduated from Quinnpiac College in 1979. His life long career was in sales. He worked at Stanley Works in New Britain, Buck Stoves in Berlin, and then sold kitchen and bathroom cabinets to retail customers and businesses as a manufacturer’s representative after earning the designation of a Certified Kitchen Designer. He loved reading, writing editorials, politics, and The UConn Huskies. He enjoyed serving on the Board of Education for one term. He is survived by his wife of 39 years, Francine Dolan of Bristol; his daughter, Sharon Picariello of Port St. Lucie, Fla.; step-daughters Charleen Pierce of Bristol, Melissa Pellegrini of Las Vegas, Nev., and “adopted daughter”, Mary Spagnola Semon of Terryville; brother, Harold Dolan; six grandchildren, and three great-grandchildren. He was predeceased by his son, Bruce Dolan; his twin sister, Janet Lassy, and brother, Timothy Dolan. There will be a memorial service on Saturday, Feb. 9, 2019, at 11 a.m., at Grace Baptist Church, on 736 King St., in Bristol. Posted in The Bristol Press, on Wednesday, 6 February 2019 19:09. Updated: Wednesday, 6 February 2019 19:12.